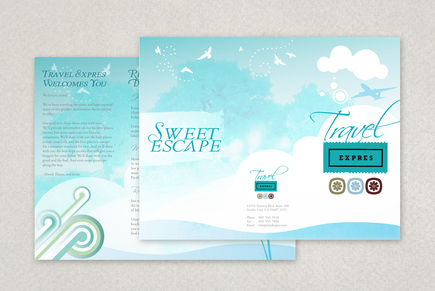 Any travel agency or tourism related industry can use this design to promote their services. Information such as trip-planning, activities, tours, destinations, and company info can be added or edited to your needs. Light and fun graphics create a relaxed mood perfect for travel and adventure.